Last Game: Last night in Springfield, the Pens lost 2-1. David Warsofsky scored the only goal for the Pens. 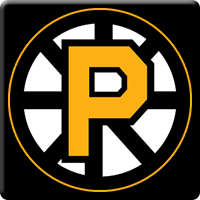 For Providence, last night the P-Bruins hosted the Hershey Bears in a rematch from Friday and were shutout 4-0. Last Meeting: December 30 in Wilkes-Barre, the Pens lost 5-2. Wilkes-barre came into that meeting on a seven game win streak, but got smashed by Providence and Zane McIntyre capped off a perfect month in December, improving to 10-0 and Casey DeSmith was dealt his first regulation loss. Why you should care: Penguins wrap up their third game in under three days in Providence today and are set to take on goaltender Zane McIntyre who has not lost a game yet this season for the P-Bruins. He boasts a 12-0-1 record with a 1.72 GAA and a .941 SV%. The Penguins will need their best game of the weekend if they want the two points today. Broadcasters: WBS: Mike O’Brien @MikeOBrienWBS and @_NickHart / PRO: The P-Bruins announcers are per diem. Other Game to Watch: Hershey travels to Bridgeport in an important game for the Bears who are chasing the Sound Tigers for the fourth and final playoff spot in the Atlantic.